I will try to get these graded soon and up in the shop. Just haven't had a chance yet. I'll let you know when they are up in the shop and ready to go. 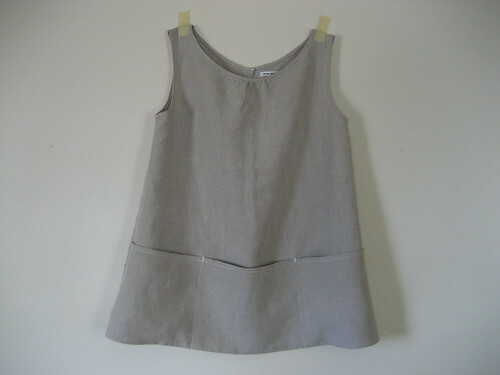 I also want to take some pictures wearing the garments so you know how they look on a person. 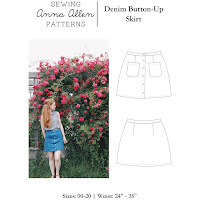 i love your clothing, anna! *Beautiful* .. so simple and chic! That second item -- is that an open back? 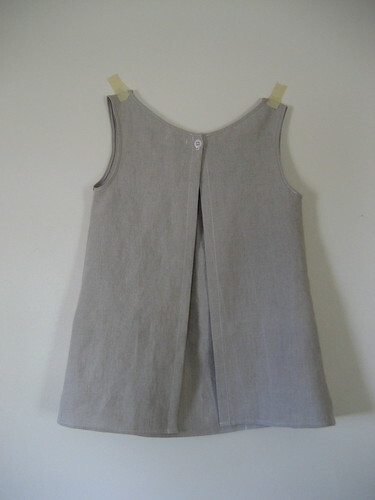 amy, the second garment is a smock/apron so it just has one button in the back. you would wear it over your clothes while gardening or doing work. Ah, I see. They're lovely! I'm so excited for you and your new little shop. I've been following you for quite a while now. I LOVE the sailor top. So sweet and gorgeous too. Catching up on what you are doing thru Jenny Gordy's blog! How did I not realize that you had a blog? Or were from Iowa (I'm from Cedar Rapids)? aw, thank you jennifer! you are from cedar rapids iowa?! wow. i almost can't imagine anyone else is from cr. haha. too bad you don't live here anymore! 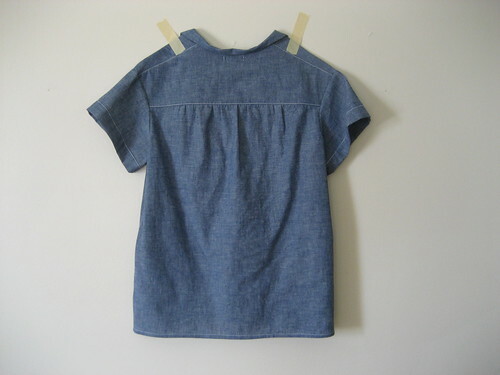 that's such a great idea for a top! (the second one) I'm always in need of something when I'm fabric printing, but I'd be far to scared to get that one dirty, it's far too lovely! I love that grey top. Very subtle work as always. Attractive Clothing Line. Adore your dresses. Cheers and luck to you! 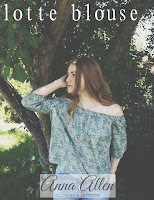 Just found your blog and, wow, I love your blouses! Oh my goodness--that first blouse is gorgeous!!! oh wow! 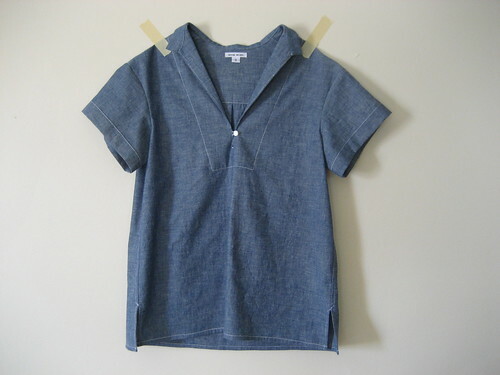 i'm just in love with that chambray blouse. can't WAIT till it comes out! !